By January 1942, the Allied air forces had suffered a series of setbacks that forced them to retreat south in the face of the Japanese offensive. The American Far East Air Force withdrew its remaining heavy bombers to Australia following the debacle at Clark Field, and the US Navy’s Patrol Wing 10 was not far behind. 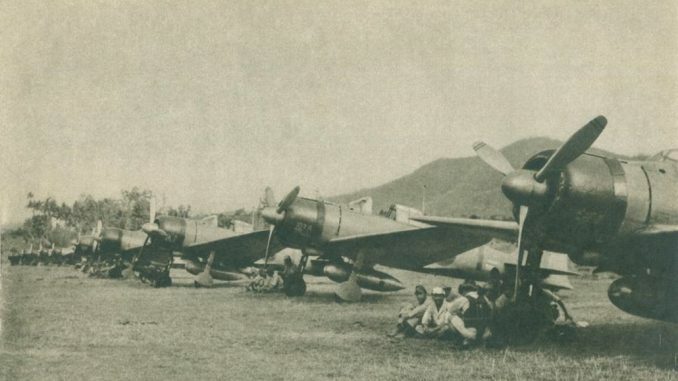 The Dutch aircraft of the MLD and ML-KNIL had attempted to defend the British part of Borneo from another Japanese landing but had been unsuccessful, and most of their aircraft had also been withdrawn to Java in order to regroup. The eastern flank of the Indies was at this time being covered by two units of Hudsons, 2 and 13 Squadrons based at Timor and Ambon, with elements of PatWing 10 also providing support. These scattered and disparate forces would have to reorganise themselves in order to face a renewed Japanese thrust south through the vital Makassar Strait, which threatened Java itself. The Japanese had moved significant air and naval forces to the southern Philippines in preparation for their advance further south, in particular using the anchorages at Davao and Jolo. Responsibility for securing the rest of the Philippines had been handed over to the Army, so that the Navy could concentrate on the capture of the Netherlands East Indies. Two crack fighter groups, the Tainan and 3rd Kokutai, both equipped with the fearsome Zero, were in position to support the Kanoya and 1st Kokutai’s Type 1 bombers, the Takao Kokutai’s older Type 96s, and the flying boats of the Toko Kokutai. This large force would prove more than a match for the limited Allied air presence in the Indies. Perhaps surprisingly the Japanese had not yet declared war on the Netherlands. The Dutch government in exile had declared war on Japan on the 8th of December, but a return declaration of war did not occur until the 11th of January 1942 – when the Japanese invasion force was offshore from Tarakan in the Indies and landing were imminent. 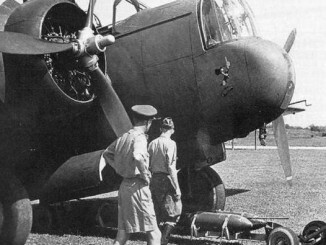 Extensive air reconnaissance had revealed to the Japanese the extent of the Allied air umbrella, such as it was. The Australian airfield on Ambon Island was the first attacked on the 6th of January, as six H6K flying boats from the Toko Ku and 21 Kanoya Ku G4Ms set out. Despite the crash of the Toko’s lead bomber en route, the Japanese nevertheless delivered an attack that damaged three aircraft and killed a number of personnel. Allied air reconnaissance was also productive. On the 10th, a Patrol Wing 10 PBY discovered a force of Japanese ships north of Celebes – clearly heading for the Dutch possession of Tarakan, on Borneo. Later the convoy split, with some of the transports heading south for Manado in the north of Celebes. The convoys were covered by seaplanes from the tenders Sanyo Maru and Sanuki Maru, which shot down a Dutch Glenn Martin bomber near Tarakan. The following day, as Dutch troops were busy setting fire to the oilfields around Tarakan and destroying refinery equipment, the Japanese finally declared war. That same day an attack was mounted on the invasion force off Manado by PBYs from PatWing10 and the MLD’s GVT-17, flying from Ambon. These were followed by 2 Squadron Hudsons. F1Ms from the tenders Chitose and Mizuho were covering the convoy and these tore into the bombers, quickly shooting down one American and one Dutch flying boat. The Hudsons following up this attack had better luck, claiming to have shot down two of the floatplanes without loss to themselves. The only damage to the transport was a near miss on the Amigisan Maru. Ahead of the landings at Manado, G3Ms from the 1st Ku dropped 324 paratroopers who managed to seize the nearby Langoan airfield – this being the first use of a parachute assault force during the Pacific force. 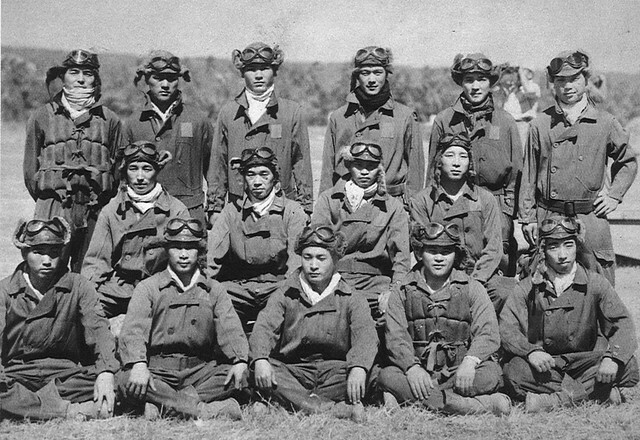 An additional 185 reinforcement troops were parachuted in the next day. Manado was quickly secured by the Japanese. At the same time the Japanese secured Tarakan, despite the efforts of Dutch bombers to attack the invasion force there. By capturing these key points, the Japanese gained control of the northern end of the Makassar Strait. Over the next couple of days, the Allies attempted to mount counterattacks, hoping to destroy ships during the vulnerable landing phase. 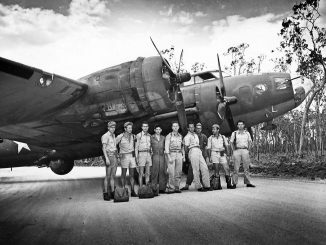 Eight Australian Hudsons set out to attack Manado, but these ran into patrolling Zeros from the 3rd Ku which promptly shot down four of the bombers with none of the crews escaping. The Japanese had realised that the prompt arrival of fighters to protect vulnerable beachheads could make all the difference. The following day several waves of Dutch 139WH bombers were sent to Tarakan and suffered a similar fate, with five of the obsolete aircraft being shot down by the Tainan Ku. Thereafter most of the remaining aircraft were pulled back from Borneo to Java to preserve their strength. To blunt the effects of these bombing attacks, the Japanese sent the 3rd Ku to attack Laha airfield on the 15th. When a single fighter was spotted over the island, the defenders scrambled a pair off Dutch Buffalo fighters and ordered Hudsons and PBYs to take to the air to escape the imminent attack. The 3rd Ku Zeros strafed the airfield and shot down two ‘P-35s’ which were actually the Buffalos. Both pilots bailed out. The bombers managed to escape the attentions of the Zeros and also avoided a follow up bombing by Kanoya G4Ms, but a separate group of 3rd Ku fighters strafed and destroyed two PBYs at nearby Halong. A Zero was claimed to have been shot down by AA, and the runway at Laha was badly cratered. The next day, a repeat attack claimed another PBY burned on the water. After these attacks, some of the Hudsons were pulled back to Timor whilst PatWing10 and the MLD PBYs withdrew to Surabaya. Surveillance fights revealed a further build-up of Japanese shipping at Jolo and Manado, suggesting that the next move would not be long in coming. 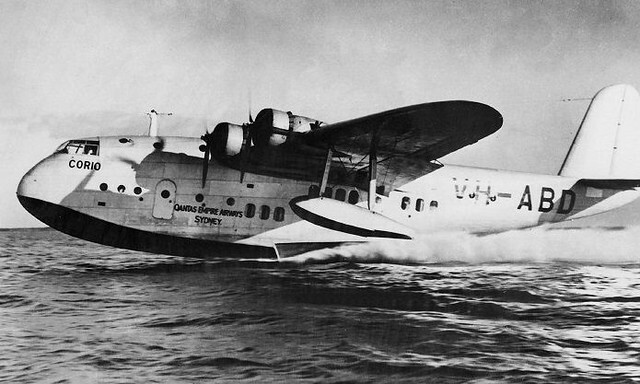 Further evidence of this came in the form of additional raids on Ambon by fighters from the 3rd Ku and flying boats from the Toko Ku, which destroyed most of the fuel stocks at Laha airfield and forced the last remaining Hudsons of 13 Squadron to be withdrawn to Darwin on the Australian mainland. These bombers had been used as interceptors in a desperate attempt to foil the attacks, but without success. The expected renewal of the Japanese advance was not long in coming, as a convoy was spotted on the 21st leaving Tarakan and heading south for Balikpapan, the largest town in the Makassar Straits and the site of an important Dutch oil refinery. The ML-KNIL attempted to stop the convoy in its tracks by launching an attack from the secretly constructed Samarinda airfield, with two 139WHs and no less than 20 bomb-armed Buffalos being flung at the invasion convoy, which had already been weakened by submarine attacks. These attacks set afire the transport Nana Maru, which later sank, but one of the Buffalos was shot down in return. The Japanese landed at Balikpapan on the 23rd, under black clouds as the Dutch again burned the oil facilities. That night a determined attack by American destroyers sank four Japanese ships, but the next day Tainan Zeros discovered Samarinda and conducted a series of attacks which destroyed two more Buffalos, four 139WHs and a civilian DC-3, leaving the airfield untenable as a base. The next day the remaining ten bombers were ordered to make one more attack on the invasion fleet before heading south to Java, but half were shot down in the attempt. More Dutch aircraft were destroyed on the 27th of January by a Tainan Ku raid on Bandjermasin, on the southern coast of Borneo. Seven more of the ML-KNIL’s 139WH bombers were destroyed, including six from a new unit, 3-VlG-III, that had only just flown up from Java to replace the squadrons decimated during the attacks on Balikpapan. This raid was conducted in part to cover a further landing at Pontianak on the western coast of Borneo, which gave the Japanese almost complete control of the island. 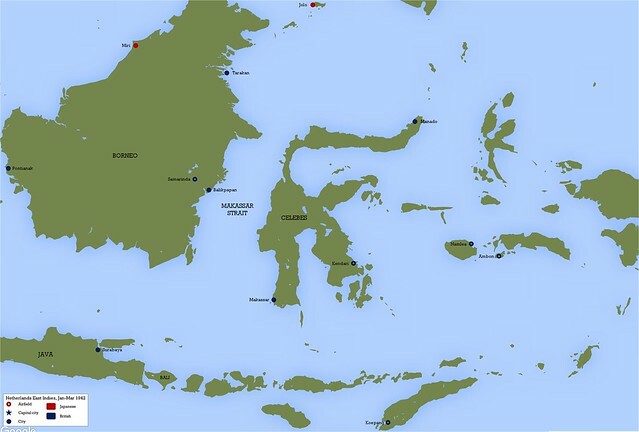 Bandjermasin was later evacuated by KNILM airliners, whilst the Do24s of the MLD that had been performing reconnaissance and bombing roles all over Borneo were recalled back to Java. Meanwhile a separate Japanese force had captured the airfield at Kendari on the east coast of Celebes. Narrowly escaping before the Japanese invasion was the seaplane tender Childs, which had been delivering 30,000 gallons of aviation fuel for the B-17 raids that were to be staged through the airfield. With unloading completed the Childs departed on the 24th, escaping a brief challenge by Japanese destroyers and a bombing attack by cruiser-based E8N before heading back to Surabaya unharmed. Kendari was captured so quickly that the garrison had no time to destroy the airfield’s facilities or the new stocks of fuel before they were forced to flee inland. This fine airfield was well within range of all of the Allied bases in the eastern Indies as well as Java itself, and bombers stationed here would soon make their presence felt. The bases on Ambon were increasingly vulnerable as the irrepressible 3rd Ku continued to attack, with several Hudsons destroyed during repeated strafing attacks. More Zeros made their way to Timor, shooting down several civilian aircraft. Soon afterwards a convoy was spotted heading south from Manado, destination Ambon. Every aircraft that could still fly was loaded with as many men as possible and flown south, with Empire flying boats also being drafted in to evacuate personnel. Most of the garrison, however, was not withdrawn and was captured. The last aircraft left on the 30th, with the Japanese landing the following day. Namlea was also evacuated, with the last party being extracted by flying boat two weeks after the Japanese had taken over. Little respite could be found for the units that withdrew to Timor, however, as the Japanese quickly moved to control the skies over that island. The 3rd Ku dispatched half a dozen Zeros to sweep Koepang and Penfui airfields on the 30th, in the midst of the evacuation. South of Timor they encountered and shot down the Qantas Empire flying boat Corio, which was on its way to Surabaya to pick up refugees. 13 of the 18 passengers and crew were killed, with the survivors swimming three miles back to shore. They were later picked up by an MLD Do24. With the Japanese now in control of both Borneo and Celebes, the road to Java was open. The island was attacked from the air for the first time on the 3rd of February, as Zeros conducted a fighter sweep that shot down, amongst others, the aircraft flown by the commander of the 7th Bomb Group. Options for the Allies to stem the tide of the Japanese advance were few, with air and sea lanes between Australia and the Netherlands East Indies in danger of being cut completely. The eastern flank of the Indies was now under Japanese control, and with Singapore on the verge of falling the western flank was looking increasingly vulnerable.